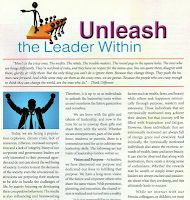 Dino’s article “Unleash the Leader Within” is published in the May 2013 issue of the Bharat Ratna (BRI) magazine. These days, there is an urgent need for authentic leaders in corporations, educational institutions, governments, and most importantly in our homes. Unfortunately, happiness, gratitude, empathy, self-discovery, and wisdom are not frequently taught in schools, so as leaders it is our responsibility to encourage the pursuit of personal development, emotional intelligence, and collaboration in order to create a harmonious society. We are born with the gifts and talents of leadership, and now is the time for us to unwrap these gifts and share them with the world. 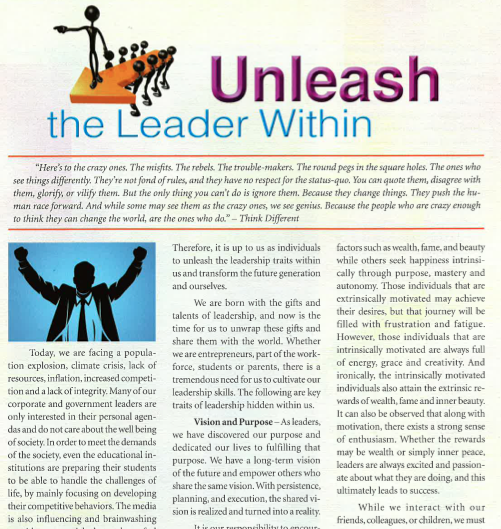 Click here to read the full article, as well as another empowering article published in the May 2013 issue. 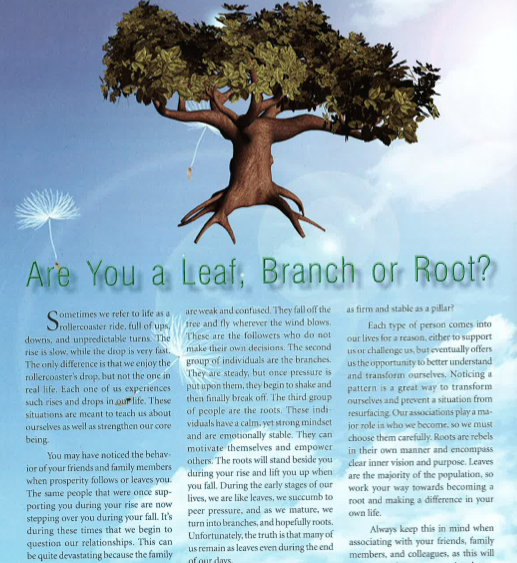 Are You a Leaf, Branch or Root? 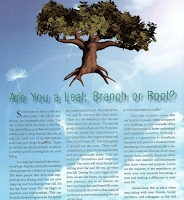 Dino’s article “Are You a Leaf, Branch, or Root?” is published in the April 2013 issue of the Bharat Ratna (BRI) magazine. You may have noticed the behavior of your friends and family members when prosperity follows or leaves you. The same people that were once supporting you during your rise are now stepping over you during your fall. It's during these times that we begin to question our relationships. This can be quite devastating because the family members or friends, whom we expect to support us during our fall, all of a sudden disappear or try to keep us down. Understanding the nature of certain individuals can help in overcoming the stress from such situations. Click here to read the full article published in the April 2013 issue.